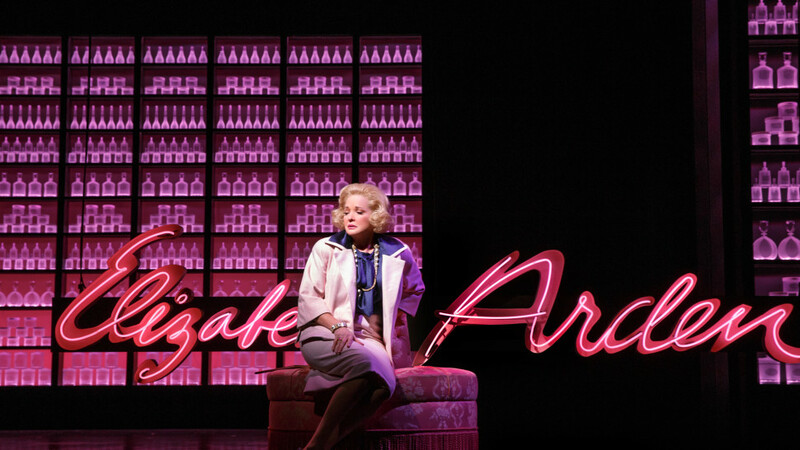 Due to high demand for tickets, a second and final extension week has been added for War Paint, a new musical starring two-time Tony Award winners Patti LuPone and Christine Ebersole as cosmetics titans Helena Rubinstein and Elizabeth Arden, respectively. Eight additional performances are now on sale for the world premiere musical by librettist Doug Wright, composer Scott Frankel and lyricist Michael Korie, directed by Michael Greif. Preview performances begin tonight; opening night is Monday, July 18. For tickets, call 312.443.3800 or visit GoodmanTheatre.org/WarPaint. Group savings are available for parties of 15 or more; call 312.443.3820 or email [email protected]. Special performances include Open-Captioned on July 30 at 2pm; an ASL-Interpreted on August 4 at 7:30pm and Audio-Described on August 6 at 2pm. The Goodman is grateful for the generosity of its sponsors. Allstate Insurance Company and JPMorgan Chase are Major Corporate Sponsors and ComEd is the Official Lighting Sponsor of War Paint. War Paint tells the story of Helena Rubinstein (Patti LuPone) and Elizabeth Arden (Christine Ebersole ) who defined beauty standards for the first half of the 20th Century. Brilliant innovators with humble roots, both women were masters of self-invention who sacrificed everything to become the country’s first major female entrepreneurs. They were also fierce competitors, whose 50-year tug-of-war would give birth to an industry. From Fifth Avenue society to the halls of Congress, their remarkable rivalry was ruthless, relentless and legendary-pushing both women to build international empires in a world dominated by men. John Dossett portrays Tommy Lewis, Miss Arden’s husband and chief marketing manager, andDouglas Sills portrays Harry Fleming, Madame Rubinstein’s clubby confidante and faithful ally. Joining the cast of the world premiere production are Mary Ernster, Leslie Donna Flesner,David Girolmo, Joanna Glushak, Chris Hoch, Mary Claire King, Steffanie Leigh, Erik Liberman,Barbara Marineau, Stephanie Jae Park and Angel Reda. Christopher Gattelli choreographs. The musical is inspired by the book, War Paint, by Lindy Woodhead, and the documentary film, The Powder & the Glory, by Ann Carol Grossman and Arnie Reisman. The design team includesDavid Korins (set design), Catherine Zuber (costume design), Kenneth Posner (lighting design) and Brian Ronan (sound design), as well as Bruce Coughlin (orchestrations) and Lawrence Yurman (music director).